There are several inbuilt filters that you can use in from the Documents screen within your individual matters. Description field is free text and can be typed in. Use single filters or a combination e.g. Associate and created between to narrow down the number of documents returned. Will filter by the application type e.g. Word, Excel, PDF etc. 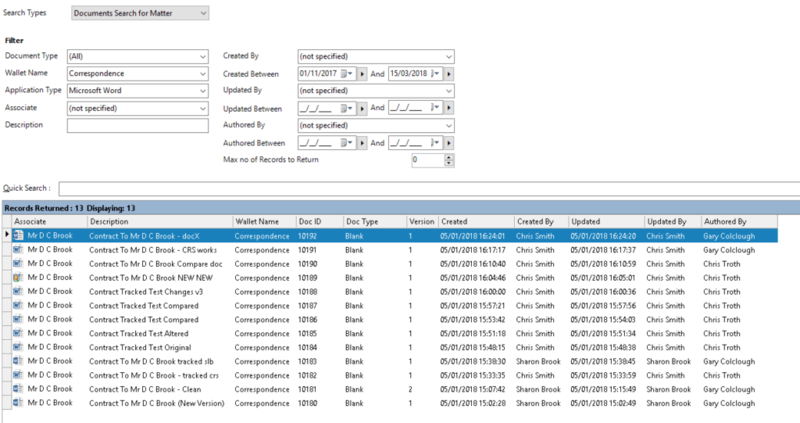 Will allow you to filter between a set of given dates of when a document was either created, authored or updated. Your documents will now be filtered and should match the designated criteria. 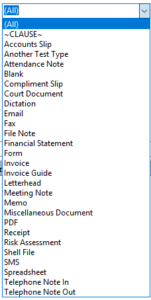 NB: There is a limit of up to 200 documents returned within the document list – to overcome this use Document Search not Document List. This can be found on the Search Types. There is more about Document Search in the upcoming series of tips.